I love when things like this go viral. I think from my previous post, you can all tell how I feel about this topic. It feels good to know that others in the industry feel the same. In an effort to draw attention to the lack of diversity in what traditional publishing is putting on our bookshelves, the #WeNeedDiverseBooks campaign began. It officially kicked-off May 1st, though I’d been seeing tweets about it for a few days beforehand. As my own small contribution to the cause, here is a small list of authors of color I absolutely adore. Go out and buy their books. And then recommend some of your favorites to me. Ms. Smith is for the lover of romance and romantic suspense. Be sure to read everything in her Wolfpack series. If you want something a little hotter, pick up the books about the Brand twins, whom she describes are Idris Elba look-alikes. I don’t think any bookshelf is complete without adding Ms. McFadden. Her books are not light fare. You’ll get stories of struggle and triumph over adversity, racism, sexism… Her works speak to the fighting spirit in us all. Read Sugar and This Bitter Earth to start with. 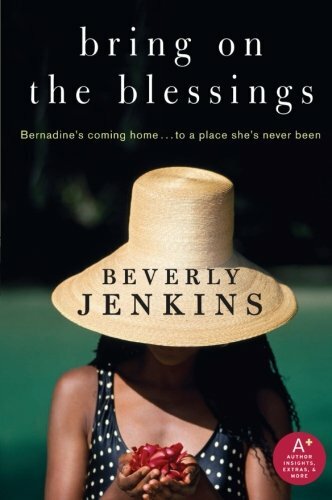 Ms. Jenkins will give you romance, humor, and historical fiction all in the same pages of one book. For more contemporary stories, with a little history thrown in, read the Blessings Series. Then pick up one of her many historical romances.